Dawn's Promise comes to us courtesy of The Looking Glass. It's a lovely village of stone houses which show the ravages of time but which are also in the process of being restored. It uses soft colors and falling leaves to create an atmosphere of peace and calm. I would love to live on this sim forever, but part of the magic of Fantasy Faire is that it is so fleeting. Today was the last official day for the Faire. 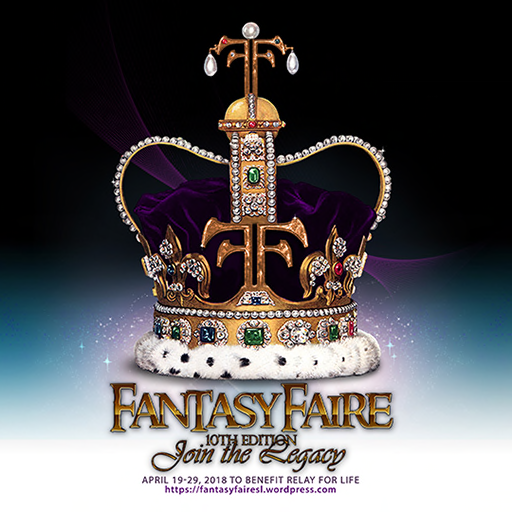 All the mysteries have been solved, the wrongs have been righted and it's time for the Fairelands to disappear into the mists for another year. Kudos to all those who spent countless hours working to make the magic happen and congratulations on the amazing donations to Relay for Life! 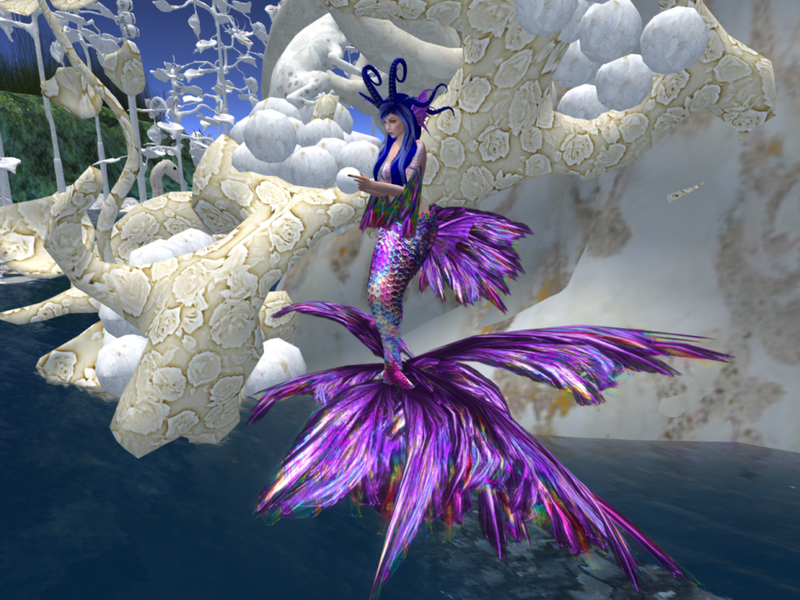 L$ 6,818,540 ($ 26,225) by April 29th, 11 PM SLT. The sims will remain open in an unofficial capacity for a few more days as those who have dedicated so much time and effort slowly begin to wake from the dream. (Or to be more honest, as they sleep for the first time in weeks!) Shopping and good company will continue till Thursday. Donations will continue to be sent to Relay for Life, so the totals will change. I'll be there till they kick me out. I hope I see you! Picture if you will, a world where everything is dirty, broken, smelly or covered with thorns. Bags of garbage are stacked everywhere, waiting for sanitation trucks that never arrive. You find yourself alone in this bastion of civilization. You must find a thistle. Not a shrubbery, not a World Tree, but a thistle. Yeah. Good luck with that! Welcome to San Mora. I'm guessing there are probably zombies or other nefarious creatures lurking in the darkness under the crumbling overpass as well. There are shops hidden across the sim. You just have to look in all the crumbled buildings, trailers and under fallen pillars to find them. .. and btw, I hunted for 3 hrs on two separate days and didn't find a thistle. 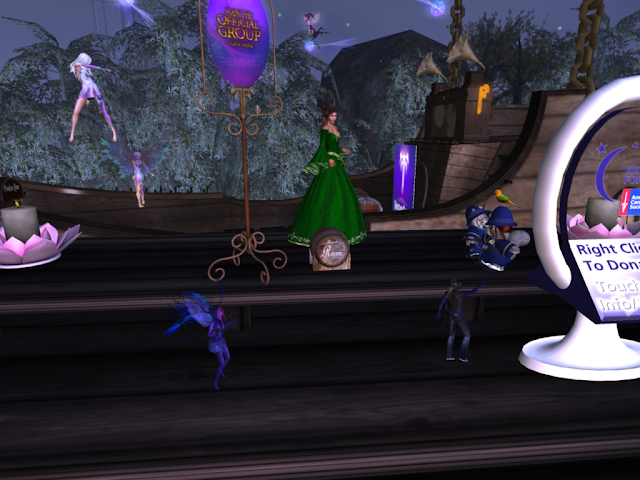 On a positive note, word just went out throughout the Fairelands that the Faire will continue till May 4. There won't be active programming scheduled after April 30, but Fairelands Radio will be on the stream, stores will be open and you can wander to your heart's content. 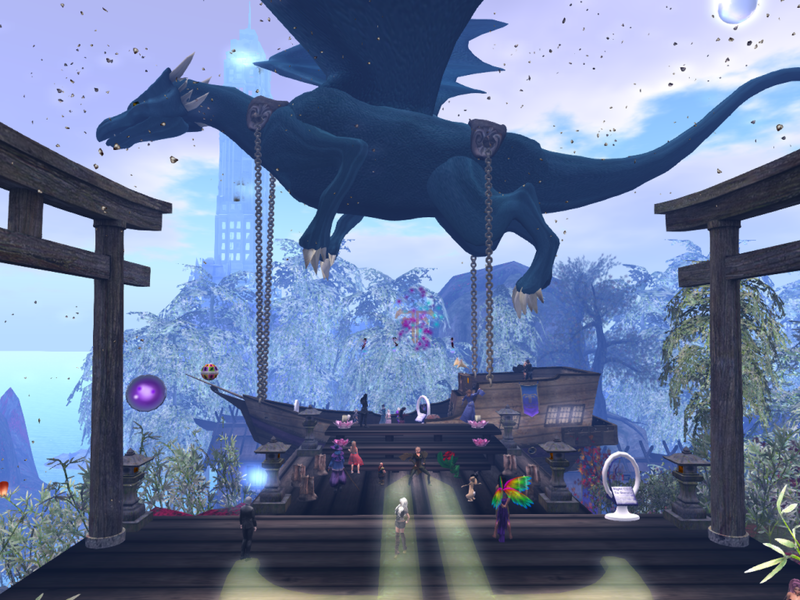 There is always something crazy going on whenever the designers and artists of Fantasy Faire get together, so we hope you'll continue to visit till they kick us out! Knowing that Falling Sands is sponsored by United InshCon assures you that there will be something very unusual about the sim. It's kind of Arabian Nights meets big oil: lots of ancient houses and minarets; the paths you follow through those shifting sands are oil lines. 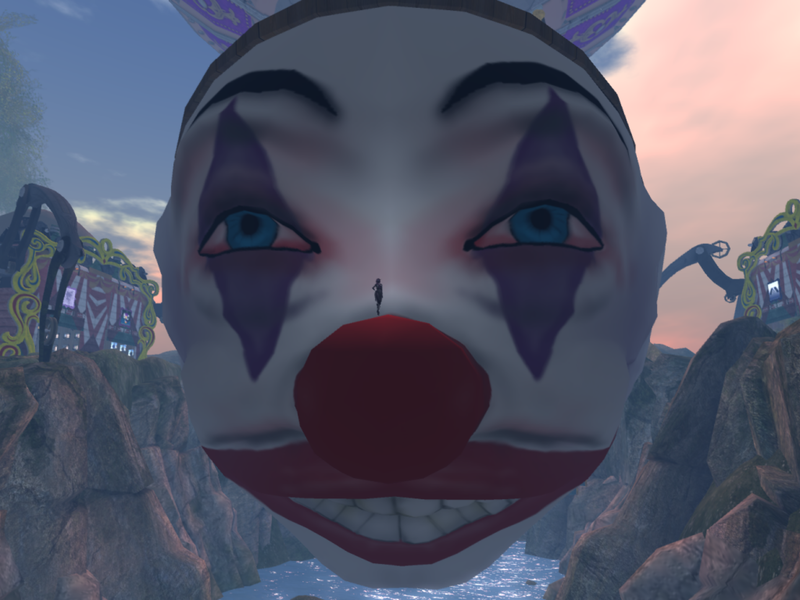 United InshCon have some of the most unusual creations in SL and make animals like you wouldn't believe. You knew there would be animals! Come wander the sands and stop to dance in the camp at the edge of the water. Later that night... 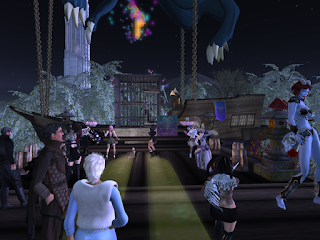 I flew to Kakushi Pasu and to the deck of the Fairechylde, where my friend, Astoria Luminos, made her debut as a Fantasy Faire DJ. 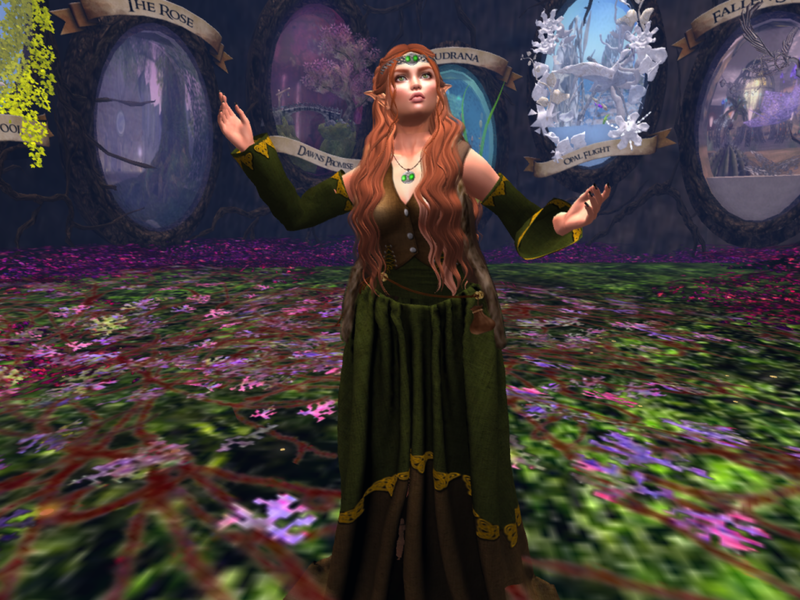 Ast has many years experience as a DJ in the Faerie lands and I had convinced her that she should share her gifts with the wider audience at Fantasy Faire. She was accompanied by a flock of faeries and other friends. We had a rawkin' time and raised over L$23000 for Relay for Life during her set. Believe me, those petite faeries know how to party! Celebrating the publication of The Hobbit, the Fairelands turn to the Hill, an homage to Tolkien's works and specifically to the Hobbits themselves, for inspiration and celebration. With readings, unexpected parties and literature challenges based on Tolkien's books, there was something for every Tolkien fan. I took part in the Litfest writer's workshop held at the Hill, where we toured the countryside seeking inspiration and then joined the party that was taking place on the green. I later returned to listen to the readers from the Seanchai Library, who presented selections from the Lord of the Rings. Many folks dressed as their favorite Tolkien character, which meant numerous Legolases...Legolii...? as well as elves, fae, demons and even a fallen god or two, but many appeared just as they always look in SL. We can all relate to those unwilling heroes in the books. There is a bit of a hero in each of us, at least, we aspire to that ideal. Many heroes this week have donated their time, talents and L$ to Relay For Life. We passed the L$3 million mark early Wednesday. Tala! One of the most amazing areas of Fantasy Faire is completely hidden under water. There are unbelievable realms under Opal Falls! You can follow the path which leads from the leviathan's skull, or do what my friends and I did and just jump in from the surface under the coral trees! There are a LOT of mer tails, accessories, environments etc. available for sale throughout the Faire. I'm showing you three styles just to give you a taste. "Different strokes for different folks" never was more obvious than in this year's Fantasy Faire. Raven's Perch is dark and menacing in a good way. Rose windowed chapels have been converted to use as shops and ravens ride the updrafts above the village. There are roses everywhere! One gets the impression that there may be something ominous lurking just below the surface in Raven's Perch, but the buildings are so lovely and the atmosphere is so peaceful that I find myself returning to the sim just to wander the cobblestoned streets and enjoy it. Kudos to Rivendale for their darkly mysterious but attractive sim. NeoVictoria brings you circus themed mechanical spider-legged boxcars looping the hills around a clown-faced steampunk airship. There is a big circus tent and what appears to be a fortune telling tent on board the ship in addition to a huge steam system . I'm very familiar with the Anansi stories and know that he's a trickster spider. Perhaps the nice RP-ers at NeoVictoria are following a thread and can understand what's happening here, but I don't get it...! There are two levels of potential shops, but I could only find four stores. The circus tents on the second level have stuff in them but appear to be static displays without any explanation. Backgrounds for different scenerios??? Oh, and btw, yes, that is me posing on the clown's nose. I'm not afraid of clowns...or spiders. We happened to be wandering through Opal Flight when they announced that a play was about to begin. We took a seat in the leafy balcony and enjoyed "The Faun's Fable" by the Night Theater. Plays and other stage shows will be presented at various times throughout the week. Be sure to check the Calendar of Events to enjoy one of these entertaining events. Update on the Quest: Huds are now available @ all major landing points and fellow questers are busily swarming throughout the Fairelands. The Regular Hud is a L$250 donation. The Deluxe Hud is L$350 and includes a Traveler Tunic set from Silvan Moon Designs for both male and female. If you purchase the Deluxe hud, the gift card for the outfits is no copy, so you must be in a sand box or on land where you have rez rights and rez the holder on the ground to receive the gift card. Redeem the card either at the main White Armory store or at the shop in the Spirit Pool and you'll be all ready to go. Purchase of the Quest huds is a 100% donation to Relay for Life. 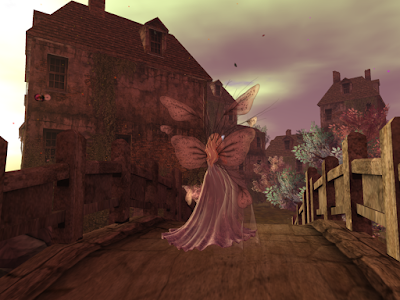 After completing the first task in the Quest, you will receive your very own pixie assistant, Farion, to babble away on your shoulder and (supposedly) help you if you get stuck on the Quest. You touch him and he'll give you suggestions. I'm always somewhat dubious as to the helpfulness of Pixies, but he may prove me wrong. One thing you may notice when you get to Fantasy Faire is that there are a lot of parties. 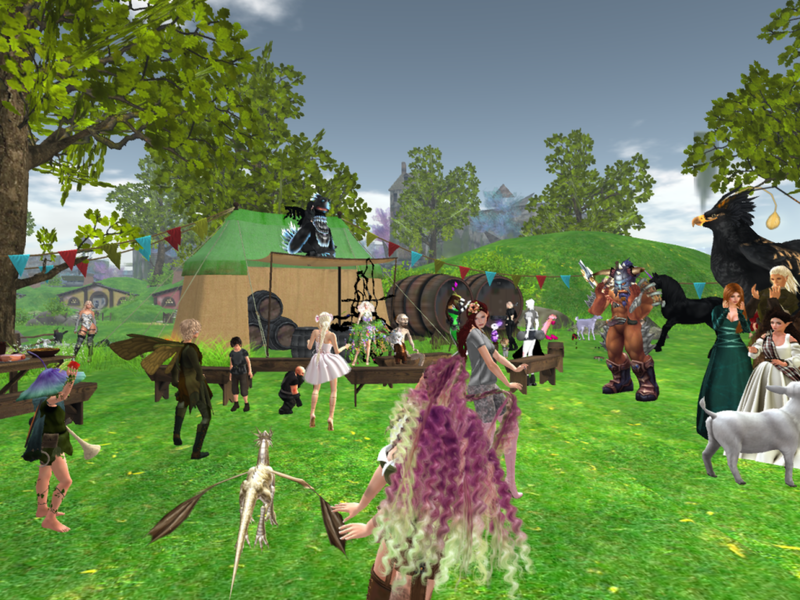 The Faire has its own radio station, which broadcasts year round. DJs are scheduled throughout the event with music to satisfy all tastes. If you're looking for a party, head towards Kakushi Pasu. Climb the ramps till you come the party barge (just look for the floating dragon). There is usually somebody dancing there whether anything is scheduled or not. There is a Faire tradition called the Jail and Bail, in which "famous" avis, such as the Faire designers, shop owners, DJs and yes, even an occasional Linden, will be locked in a cage to be mocked by their friends until they raise bail by getting their abusive friends to donate to the RFL kiosks. It's all in good fun. Jail and Bail parties raise lots of L$ for cancer research... and btw, hard as we try, we haven't managed to pay enough to keep some of the miscreants locked up longer than a couple of hours. You'll also find that any time more than a couple of avis gather in the same place, there's likely to be a Spontaneous Party. People will just stop where they are and start dancing. There's a feeling that we're all in this together and that anybody you meet is likely to be "good people". 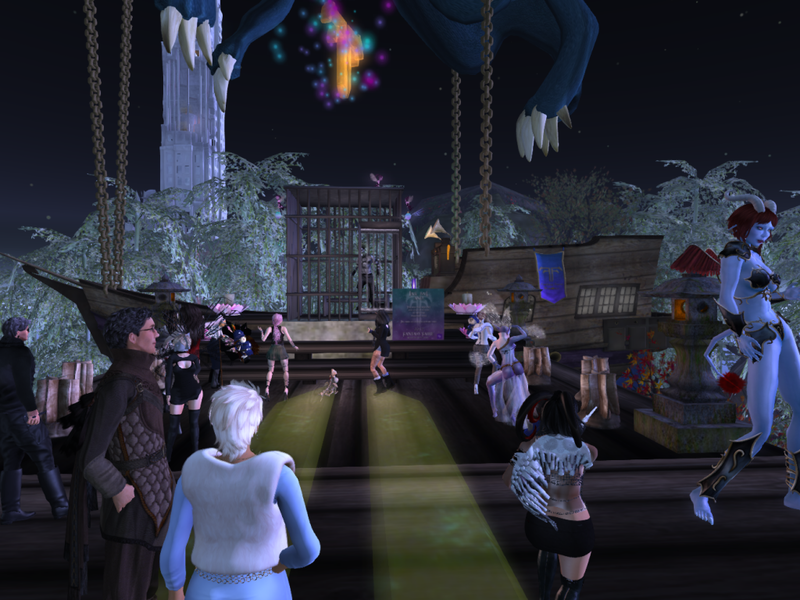 If you should be so fortunate as to stumble across one of these spontaneous parties (or perhaps you can start one yourself if you have your own dance hud) you will find the people interesting, funny and very generous when it comes to donating to Relay for Life. Bottom ~ Semi-spontaneous dance in the Spirit Pool with DJ Ktahan Vesuvino (we trapped him in front of the Murasaki Mertails store and wouldn't let him go to Fairechylde. Instead we had a mer and friends party early Saturday morning). 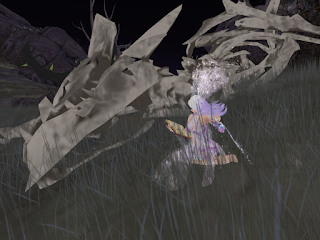 Day 2 finds me in Morbus, a dark land of twisted thorns and bleached bones. The Bard Queen is missing and I promised Farion the Pixie I'd assist in his search for her. This year's Faire brings another challenging quest. Fantasy Faire quests are always so much more than a simple hunt. They involve solving riddles, frequently include physical challenges (just how well can you navigate with your avatar?) 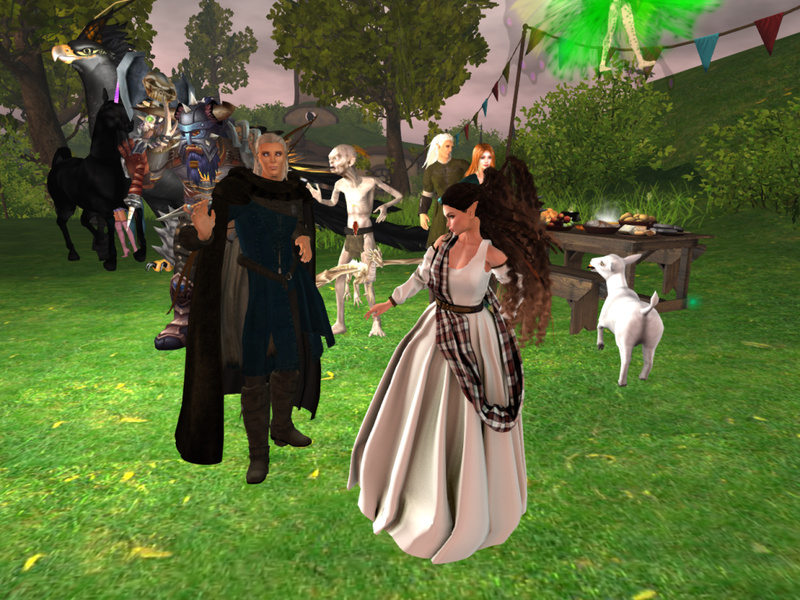 and a lot of roaming around the different areas of the Faire talking to helpful strangers or finding arcane objects. Quest huds will be available "soon" at all major landing zones. Those of you who have done FF quests in the past know what I mean! If this is your first year to quest, be patient ! There is usually a waiting period while the huds are tested and debugged, which can't be done till the sims are actually open. Believe me, hard as it may be to wait for the quest to begin, everyone who has ever done one agrees that the rewards are well worth the wait! 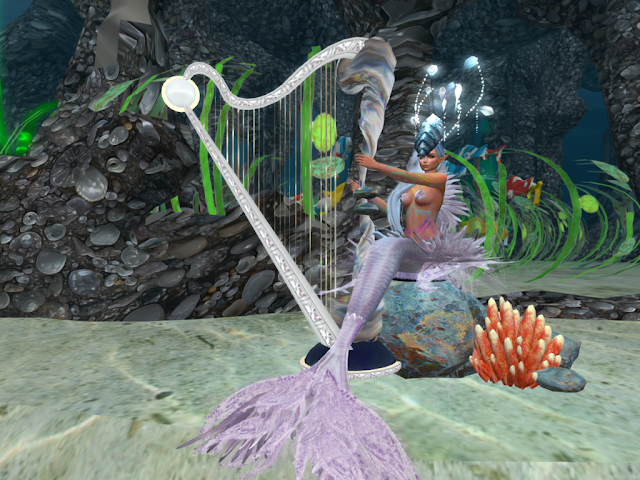 Skin ~ Plastik Hope RFL skin. This skin is absolutely gorgeous! Available with 4 levels of mask and as a tattoo for Classic and Mesh bodies. As always from Plastik, there are a ton of extras in the box and the purchase of this special skin goes to RFL. 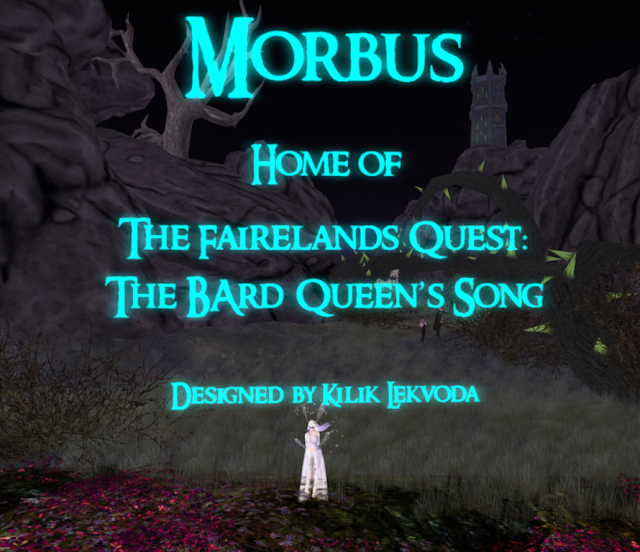 Your first stop before approaching the Fairelands should be the WEBSITE. Check the schedule and collect any SLurls you'll need before tping into the actual event. There is a LOT going on and once you get to the sims, you won't want to be wandering around trying to find that particular hunt, parade or show you heard about. 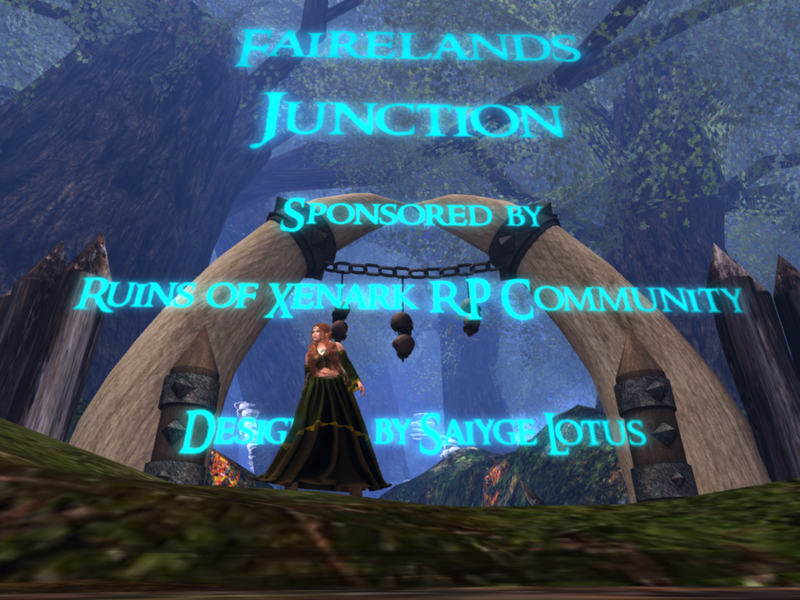 The first stop for most Faire-goers is The Faireland's Junction. You can see the Junction beyond the gate in the picture above. It's a wonderful forest of old growth trees and the main landing spot is a forest monarch which is large enough to house a whole village inside it's hollow bole. 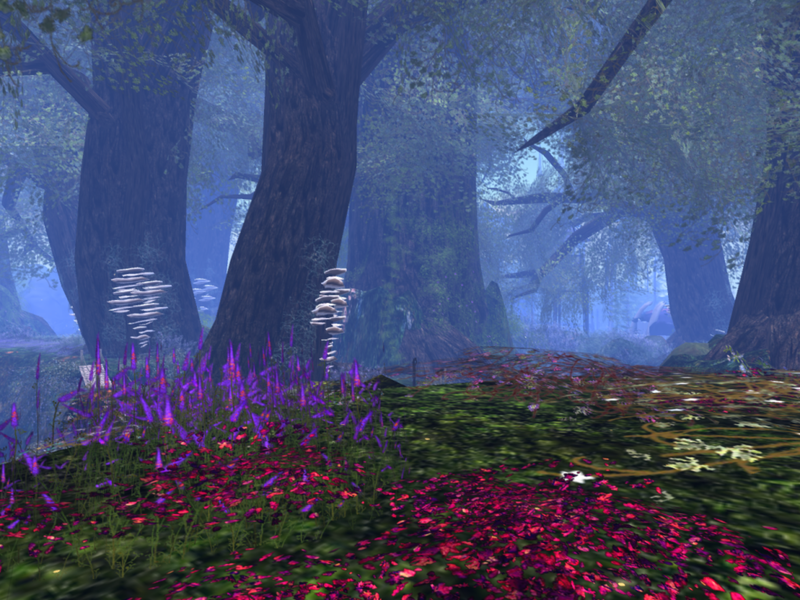 I spent a couple of happy hours wandering on the wooded paths just because I was so enjoying the forest. 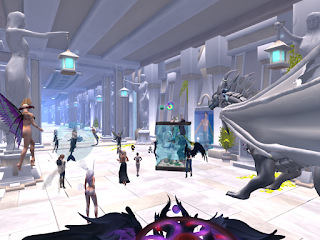 Be sure to pick up a Scroll of Teleporation Hud and you'll probably also want one of the FREE Fish Eye Avatars from Wilds of Organica which are available at main landing points and at other locations on each sim. The Fish Eye avis are low lag and fun to use. They make getting from place to place throughout the event as painless as is possible. Looking like a cross between Dorie and Mike Wazowski isn't a bad thing either. If you haven't tried morphing into another species, it may open all kinds of exciting possibilities for you. Be sure to leave yourself lots of time to explore the Faire. You definitely can't do it in just an hour! 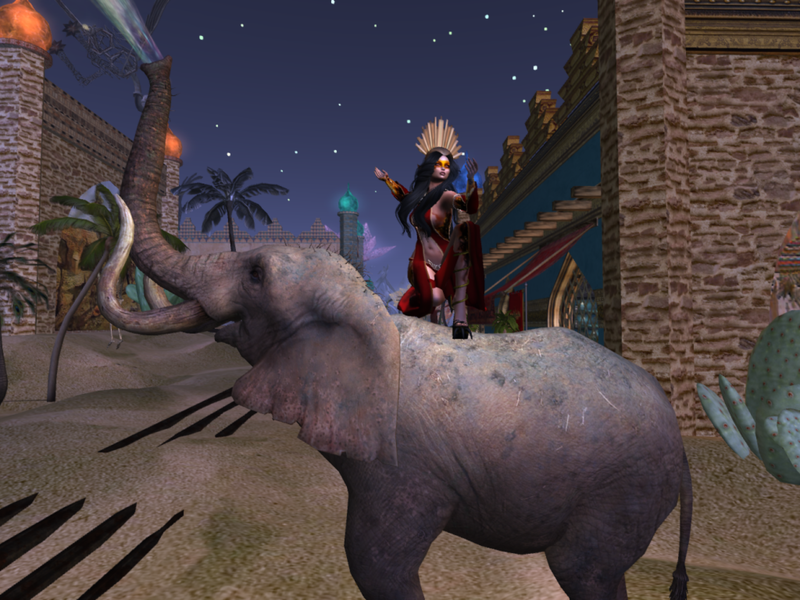 It is not unusual for experienced Faire goers to take the week off so that they can dedicate the time needed to exploring the sims and doing the Quest. As with any major SL event, go as low script and low lag as possible. Leave your extra huds, your bling and those cute shoes that send your rendering cost through the roof for another time. There will be LAG! Embrace it like a lover, laugh at the glitches and enjoy the Faire! Oh, and don't forget to DONATE! This is all about Relay for Life and the battle against cancer. 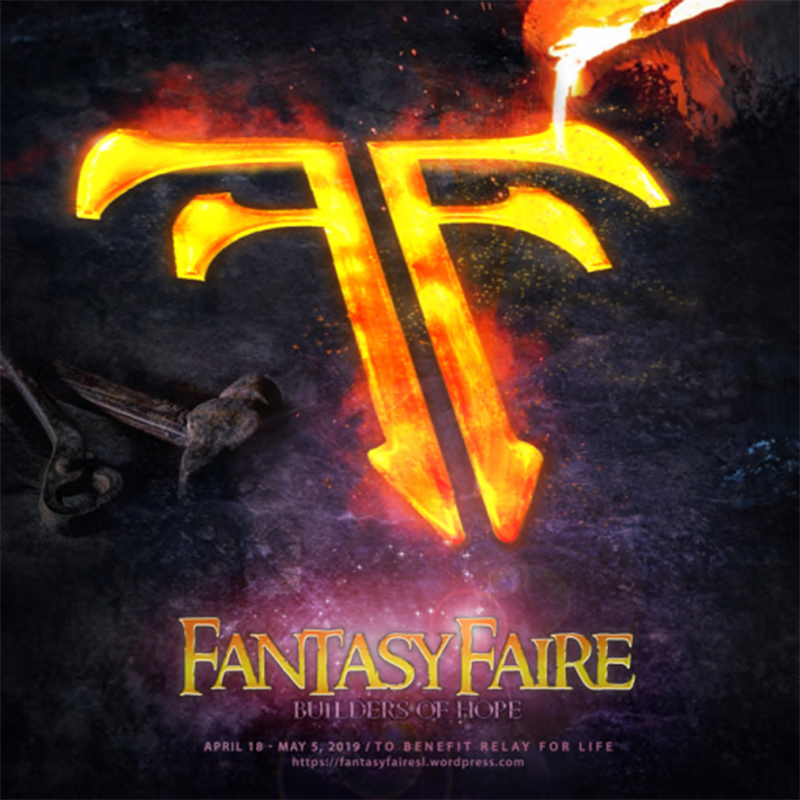 Fantasy Faire Opens April 20 !